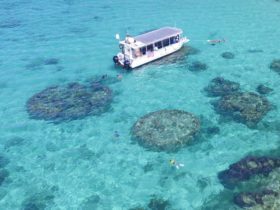 Ningaloo Discovery (owned and operated by Charter 1) is based in the World Heritage Listed Ningaloo Reef, just off Exmouth. 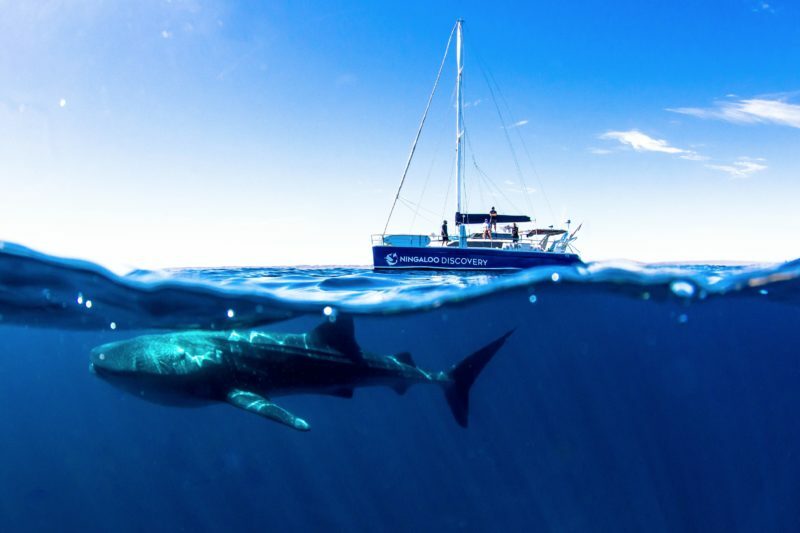 They’re offering Whale Shark Swim Tours, overnight stays on the Ningaloo Reef and once in a lifetime opportunity to swim with the Humpback Whales from March to September. From September to April Ningaloo Discovery is based in Fremantle offering guests the option of two vessels, Capella or Windcheetah, for half or full day cruises to and around Carnac and Rottnest Islands where guests are able to swim, snorkel, dive, paddle, SUP, hang out in the cargo net or just simply unwind on the spacious back deck and saloon. Ningaloo Discovery also offer two hour Twilight Sail cruises around Fremantle waters which include a complimentary glass of sparkling wine, canapés and a good chance of seeing dolphins. 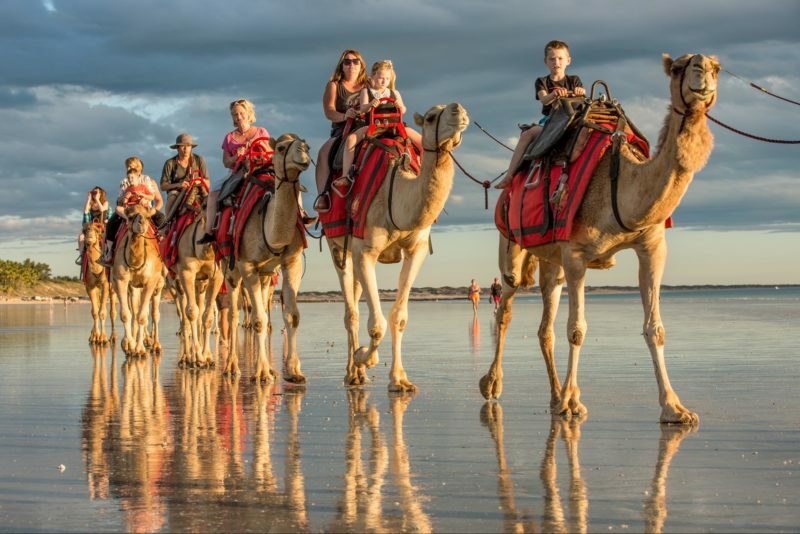 Private charters are also available from and to a variety of locations including the Fremantle Port and Harbours, Perth’s stunning coastline, Carnac Island, the magnificent Swan River and Rottnest Island. They can tailor the charters to suit your budget and requirements, so please contact them to discuss. Design your own charter to spend all your time doing what you want to do – be it two hours or 20 days. 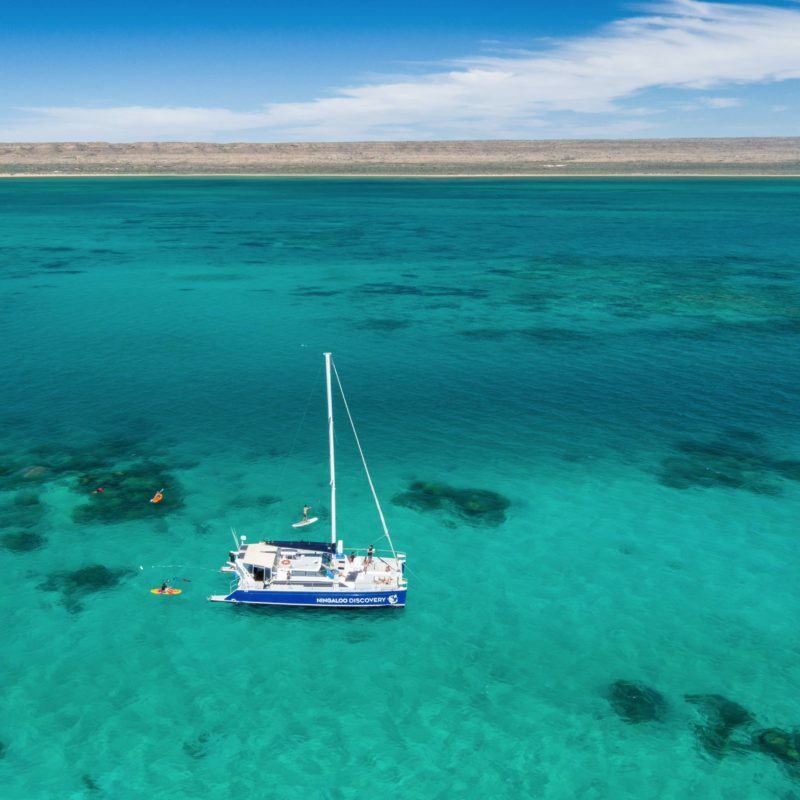 Spend a day sailing around the spectacular Ningaloo coastline or have a few nights at various locations around Ningaloo Reef and enjoy sailing the turquoise blue waters, spectacular snorkelling, swimming with marine animals such as whale sharks and humpback whales, go for a boom net ride or maybe just relax on a sunny day on the trampolines. It’s up to you. Windcheetah has all the toys you need for a memorable trip – including snorkel gear, a stand-up paddleboard, glass bottom kayaks as well as local crew who know the area inside out. Windcheetah can take 48 passengers for a day sail and sleep 8 for overnight trips. Windcheetah is perfect for family get-togethers – spend a weekend hanging out with the kids, kayaking around the endless lagoons and beaches, snorkelling with marine life, kicking back in a bean bag with a good book or simply enjoying the serenity of the setting sun over the Indian Ocean and relaxing far away from the sounds of traffic. The possibilities are endless – give us a call! 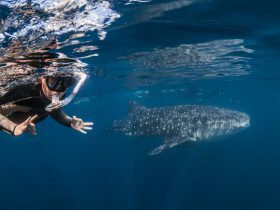 On Ningaloo Discovery’s whale shark tours you can snorkel with whale sharks, interact with manta rays, encounter dugongs, turtles, humpback whales, dolphins, amazing colourful tropical fish and coral in the Ningaloo Reef just off Exmouth. Swimming with a whale shark is an unforgettable experience! The Coral Coast of Western Australia is home to an abundance of unique wildlife full of national parks and reefs ready to be explored. 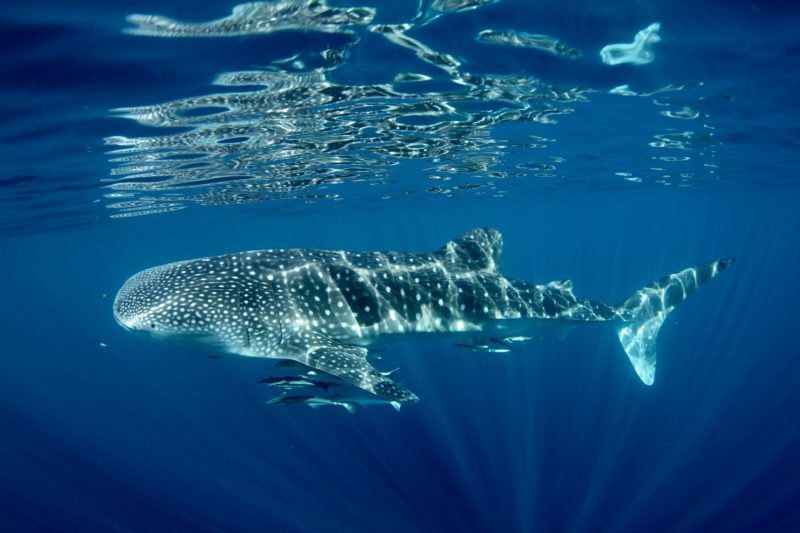 Ningaloo Discovery operates boat cruises and sailing cruises around the Ningaloo Reef as well as specialising in whale shark snorkel and dive tours. All equipment is provided on board for the whale shark tour including snorkelling equipment and tour guides who are very knowledgeable and passionate about whale sharks. The clear waters and visibility of the North West make for perfect conditions to swim with a whale shark as the whale shark cruise just below the surface, allowing snorkellers to swim alongside this magnificent creature. Swimming with a Humpback Whale is an extraordinary experience, one not to be taken for granted, and as such is conducted purely on the whale’s own terms. Humpback Whales are notoriously curious creatures so it is very possible they will be interested in an interaction, but they may also swim away. With the assistance of a spotter plane, they will do everything they can to put you in a position where you can see these graceful creatures! These are all very important factors when it comes to getting close to Humpback Whales. 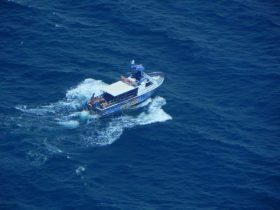 Their vessel has 360 degree viewing platforms, a variety of comfortable seating areas and is very stable, fast and quiet.